I’m very excited to share the fourth episode of the Woolful podcast. Today we get to meet two fiber folk that have inspired many of us in many different ways. 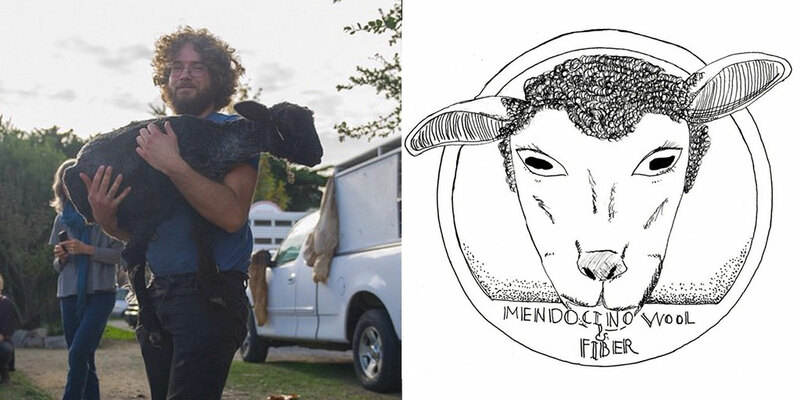 Matt Gilbert a shearer and founder of the Mendocino Wool and Fiber Mill and Melody Hoffman of Mandarine’s. 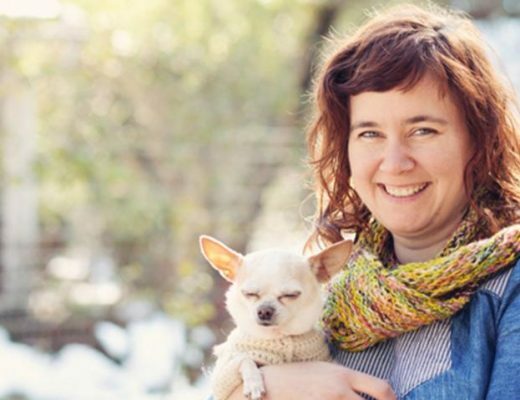 Fiber folk 1: Melody is a passionate knitter and maker, with new aspirations as a knitwear designer. 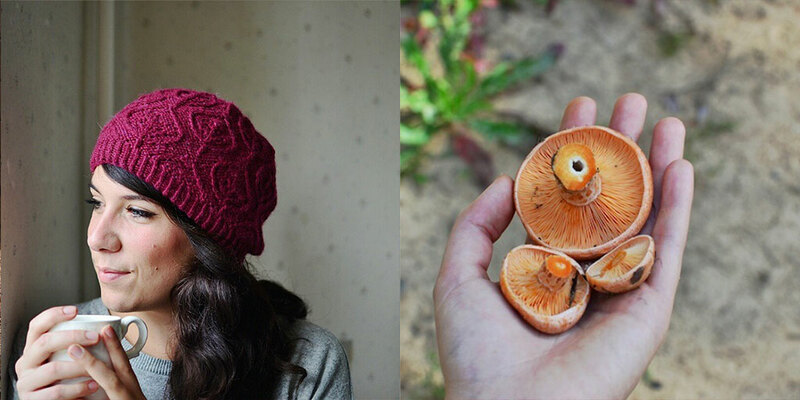 Originally from France, she now lives is Latvia where she focuses her days on knitting and self-sustainability. You can follow her journey on her blog at bmandarines.squarespace.com and on Instagram @bmandarines. Fiber folk 2: When it comes to gumption, tenacity and spirit, I’m not sure many come close to having as much as our next guest, Matt Gilbert. For over a decade Matt has been a shearer in Northern California, witnessing parts of the area that very few ever see, while gathering a lifetimes worth of wooly knowledge. A couple years ago he began building the Mendocino Wool and Fiber Mill of which he hopes to launch very soon. You can find and follow Matt’s journey on Facebook at Facebook.com/mendowool. 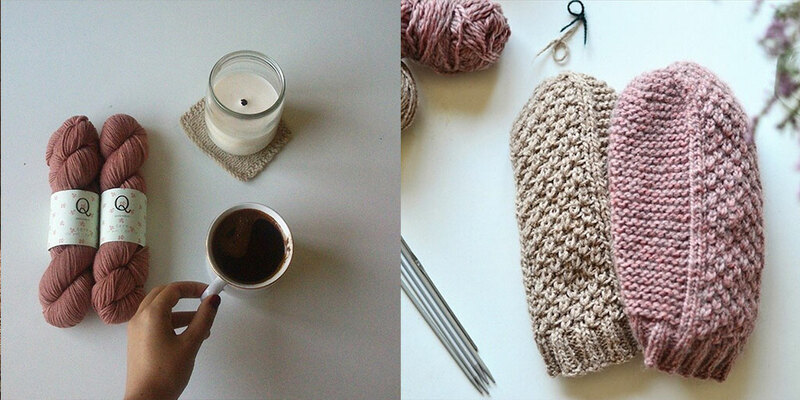 Giveaway: The winner of last week’s giveaway, is….Charlene, grandknit on Ravelry. You’ve won 3 skeins of Snoqualmie Valley Yarn, naturally dyed with black walnut. Congratulations! The giveaway this week is another special one, our first guest Melody’s Pinecone and Mulberry hat pattern along with two skeins of Quince and Company’s Owl Tweet. To enter this giveaway, visit the giveaway post on Instagram @woolful and tag a friend in the comments. You can also enter by leaving a comment below. Ashley: Welcome to Woolful, a podcast for fiber folk. I’m excited to share with you some incredible people I’ve had the opportunity to talk to in this community we love so much. From shearers and shepherds to knitters and shop owners, here’s where you get to listen to a little part of their fiber journey. This episode is sponsored by Yarn, a charming online and local yarn shop based in Eureka California. Yarn was created by Sunni Schrivner who has a dedication for natural fibers and supporting local yarns. Make sure to visit Yarn in person when on the west coast in Humbolt county and online at yarn-fun.com. 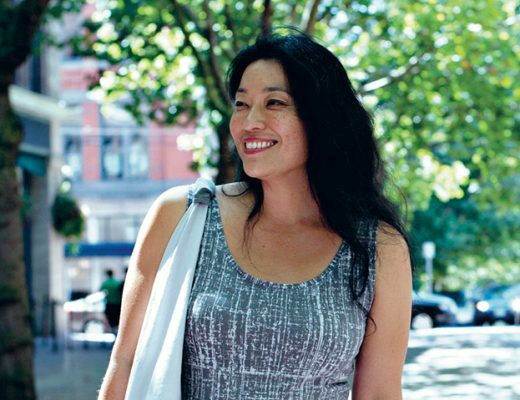 Today we get to meet two fiber folk that have inspired many of us in many different ways. Matt Gilbert a shearer and founder of the Mendocino Wool and Fiber Mill and Melody Hoffman of Mandarine’s. Ashley: Tell me a little bit where you live. Melody: I used to live in France but a year ago I moved to Riga, Latvia. Ashley: And what prompted that move? Melody: Three years ago I was living in China and I met someone there, then we moved to France; spent about a year there and then we decided to move to Latvia. So we’re here for now and we might move back to France one day but for now it’s Latvia. Ashley: What’s the fiber community like there? Melody: There’s a lot of knitters. In Latvia, there’s a big knitting tradition, especially everything that is around their isle color work. Latvia is divided in four parts, four different regions. And every different place it’s like different communities they have their own pattern that include mittens. So there’s a lot of different colors; different color works, different patterns associated with Latvia. A lot of knitters in this country. Ashley: I feel like each country probably has its own knitting community but when it’s ingrained in the culture I feel like that’s just so, I don’t know; that really interests me a lot. Have you knitted any Latvian patterns? Melody: Not yet, I’ve just started to knit their isle. It’s quite tricky so I didn’t get into Latvian mittens yet but I’m really, really looking forward to. Ashley: have you found some local yarn shops that you really like? 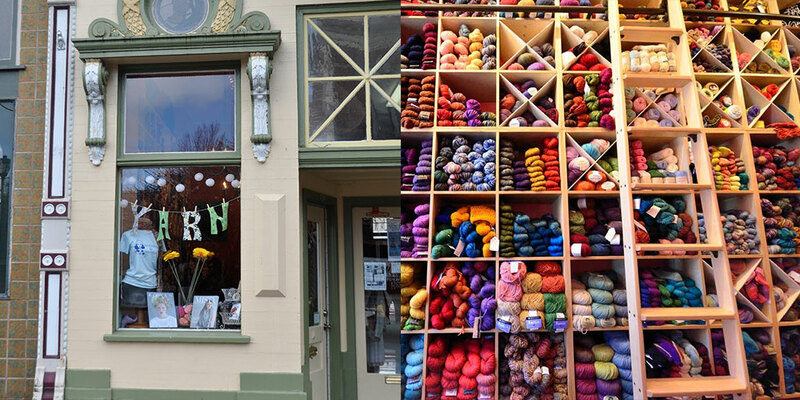 a few other yarn shops around that I like to pop in sometimes. But this one is definitely my favorite. Ashley: I have yet to find one in San Francisco that I really, really like. Your Instagram feed makes everyone envious, I’m sure. You just look like you lead the most ideal little charming days. You are posting photos of being self-sufficient and supplying your larder to baking and knitting. Can you tell me a little bit about what your days are like because everyone would want to know a little bit more about that? Melody: Well, I have an etsy shop. I sell knitwear accessories, so I knit most of my day actually, whether it’s for the shop, for myself and only recently, I started to design patterns so it takes quite a lot of time to put everything together. So this I am knitting during my day. And then, I love to walk around. So I love to take many walks. I can collect mushrooms, berries; different fruits. So that’s an aspect of self-sufficiency there that I really, really love. And I try to prepare everything and put them in jars and then preserve for the winter because we have very cold and long winters in here. Ashley: So you knit for your shop, you mentioned that you’re knitting for yourself. How do you balance that? Does it just kind of have a natural balance of orders coming in versus knitting for yourself? Melody: At the beginning because it’s difficult to be organized when you’re so passionate about something and you try not to make the things up so what I try to do is work for the shop during the day then have a break in the middle of the day for myself and then for the evenings just indulging knitting and it’s for myself again. It’s very hard to balance the things but that’s the part of the job as well. Ashley: I was reading on your blog the other day about your break from monogamous knitting and it’s funny because I too very recently where I was dedicated to only knitting one thing at a time. It didn’t just go to two things, it went to like five things. Melody: That’s how it goes. Ashley: And so, when I read it—yeah this sounds very familiar but why don’t you tell me a little bit more about what you’re working on right now? Melody: I almost completed another cardigan which is called keynote. I finished putting the buttons today but I just realized work on the button bands again because it doesn’t really match the button holes so I have to work on that. I started—I think it’s called Strokkur, it’s Icelandic I don’t want to butcher that. It’s an Icelandic sweater. Then I’m working on Warble, I think it’s a Quince and Company. It’s a beautiful lacy cowl that is going to be a Christmas present. I think that’s it. Ashley: Tell me a little bit about this pattern. Is it your first pattern, the hat, that you recently completed? Melody: Yeah, pine cone and mulberry is my first pattern. I worked on several patterns before especially for the shop but I wanted to design and sell patterns for quite a while now and first I thought that I would just have this pattern for myself. I thought why not try it out then put it on Ravelry and see how it goes. And I had quite a good feedback on Instagram when I posted samples and pictures of the finished objects so I thought it to be a good first project and first good pattern to publish. Ashley: Have you found particular areas that are more challenging than others? Melody: Well at the moment I’ve only designed I would say quite simple patterns so I didn’t have to deal with sizes or anything. The only difficult parts about designing a hat is how to decrease, how to make the pattern work in the decrease section. So that’s the challenging part. That’s the part where you have to think a lot and make everything work. Other than that I haven’t designed any sweater. I would love to design garments later that still not very ready yet. Ashley: I am so in the beginning part. I’m designing a little cardigan right now for kids and I was like okay this will be easy enough, a bulky weight yarn so this knits up really fast. I’m just stuck at this point, I just need to take a leap of faith. I just need to do it. It’s hard putting yourself out there. You know it’s easy to please yourself and to get the admiration of others by posting photos but when you do something and create something yourself and open yourself up to that, I’m sure it’s a little nerve racking at first. Ashley: Well you have worked with lots of different kinds of fiber? I see you posting you know photos with lots of different yarn. Tell me a little bit about what drives your fiber choices and if you have any favorites and maybe what drove you to select the fiber for your hat. Melody: Well, I’m all about natural fibers. I’m really drawn to natural fibers. When I started knitting I didn’t know anything about that and I didn’t care whether I was knitting with acrylic yarn or pure angora; I didn’t really think about it. The more I knit and the more the picker I became with the yarn I was working with. I only use natural fibers. For pine cone and mulberry I think I worked with merino wool which is one of my favorites. But I also love baby alpaca. It’s so soft. Cashmere or wool blends. Ashley: Do you find that you’re sourcing most of your yarn from your local yarn shop or are you one of those online shoppers often like myself who will order online and just wait for it to come and see what it feels like. Melody: Definitely buying online. I tried to get some yarn in my local yarn shop, sometimes they don’t have what I’m looking for. It likes I spent literally the whole night browsing online on Ravelry stashes to find something interesting or local online shops where I can find something interesting as well. So definitely online. 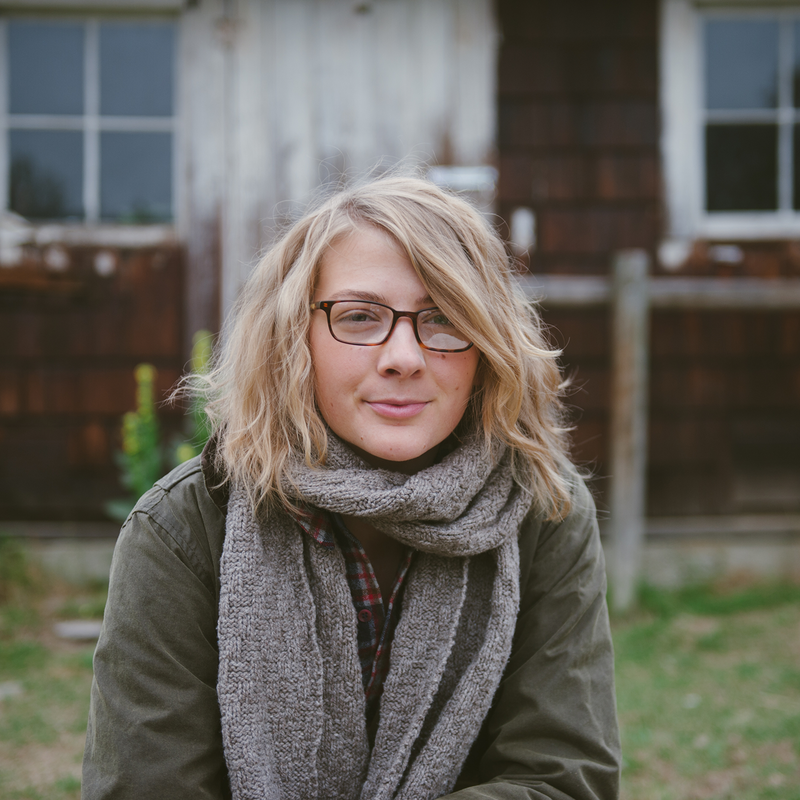 Ashley: So I know that self-sufficiency is something that interests you a lot and something that you try to incorporate into your daily life, how do you feel like that has impacted your knitting? Has it impacted the way you think about fiber choices or what your knitting or even just your feeling about it? Melody: I think everything is kind of related. I would say I try to live a natural, if I could say it that way, a natural life. So I cannot be completely be self-sufficient but I am trying my best to do what I can in that way. We started only recently to bake our own bread which is sourdough bread so we just have to buy the flour in the shops. We are also fermenting. So we’re making krauts and other recipes. We’re mushrooming. So we don’t buy mushrooms in the markets. Berries, so we’re making jams, fruit leather; different things. So we really tried to stay away from the supermarkets as much as possible and I think with the yarn it goes in the same direction in the sense that I try to get natural yarn that has not been processed in like big factories for example. I think I won’t buy commercial yarn. I try to get as natural yarn as possible. Ashley: That’s great. I feel the same way. Even when you were just talking about how when you first started knitting you worked with acrylic fibers and different fiber and you didn’t really paid attention to the content. I same thing for myself. One of the things that I’ve most recently learn about is the really harsh processes that go hand in hand with superwash merino. And I was completely unaware of that. Ashley: And I had read a little bit about it and I had a really amazing conversation with another gal who I interviewed for the podcast and she just explained to me about how the whole process works and how’s it’s actually covered in plastic and I was just like floored. Why would I ever use something covered in plastic. I don’t even use plastic in my normal life. Gosh that’s one of the things I’ve become really passionate about is trying to bring awareness in a small way to this community about I don’t know being what my friend Annie calls yarn-conscious. Be conscious about what you’re actually working with. Sure, natural fibers are great but just like everyone says natural food that can mean a variety of different things. So I’m curious how did you kind of get into knitting. Is it something that you just taught yourself or did you have someone that inspired you? coffee shops and were talking about knitting, knitting together and since that time, I didn’t put my needles down, I kept knitting, knitting and knitting. Ashley: That sounds like a very blissful little story. I’ve noticed a trend. It’s definitely something where the seed is planted early on in life by something. They go through that period of restlessness where they don’t have the patience to do something and then later on they become very dedicated to it. That very similarly happened to me although a lot of the decisions in my knitting and other knitting journeys that I have heard is the lack of doing it was driven by ignorance or just not taking the time. And just listening to what you’re saying about living in China and really not having the resources that come so easily available in other areas, I couldn’t imagine that. Thankfully we have online, really taken off just the last year or two but I couldn’t even imagine that. You know you’ve lived in France which is where you’re originally from, right? Ashley: So you lived in France, you moved to China. You moved back to France and then to Latvia. Tell me a little bit about this journey of moving. What made you move to China? Melody: I was studying law and for my studying last year, I was an exchange student so I stayed there for one year to complete my program. And at the end of the year, I just decided to stay one more year because I met someone. So we just decided to stay one more year in China, enjoy traveling the country. Then I felt it was time to go back to France and we moved back and then my partner is from Latvia and on family reasons he decided, we decided to come back to Latvia. So for now that’s where we are. Ashley: That’s quite a journey. How far is Latvia from France? Melody: It’s about three hours by plane. Not that far compared to China. Ashley: Yeah that’s good. 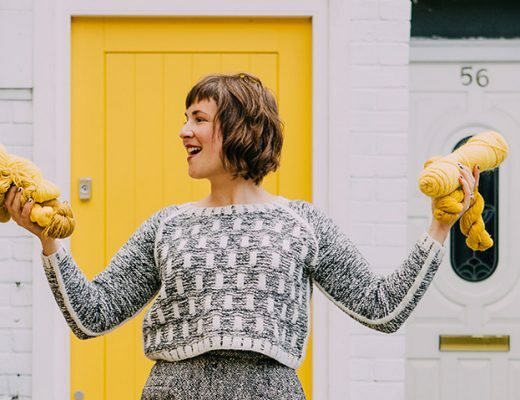 I’ve been talking to different people about their knitting journeys and kind of what they’re working on but also in particular with you I know you’ve been a very dedicated blogger and just kind of sharing your journey. What inspires you for the future? What aspirations do you have for both your knitting and maybe your blog? Melody: I only recently started to design patterns so I how to keep knitting for a very, very long time and see what happens. I would keep blogging. It’s something that I’m really dedicated to—I love photography so it’s just I love to photograph the simple moment when I’m knitting or when I’m outside. It’s really something that I love to do. So that’s something I would really, really like. notice at least for myself. Have you encountered that at all with your maybe family or friends? Melody: People in my family are quite used to it now. They say that she’s all about knitting, she’s always there knitting, she doesn’t do anything else than knitting which is true but that’s fine. They’re getting more and more used to it, especially when they receive Christmas presents. That’s fine. But I would say I like to knit in public in the the transportation especially when I was in France. And sometimes people don’t really understand the thing, it’s some kind of old school crafts only grandmas would knit so it’s kind of weird to see a young lady knit in the train. But it’s fine. I mean I really don’t care when you’re so passionate about something that you don’t really notice it. You don’t really pay attention. You just do what you like. That is the most important thing. Ashley: Yeah I agree. My day job is I’m a designer and I work primarily in the tech industry now and gosh I’ve been working with a lot of these people for a number of years. And because my obsession of wool has only gotten more and more intense over the last couple of years, I think some of them are like you’ve really changed in the last couple of years. You’re like very into this now. And I realized that it kind of made me define what I do to myself and not that I need to any reason. I mean I think anyone is passionate about especially something that they are making is really should be encouraging to anyone but something that I kind of realized in my own life was that on a daily basis anyone who is some sort of creative like you, me you know any designer even if they don’t make things with their hands or they just make things on the computer, there’s a lack of building something, creating a physical object that often happens in the tech or design industry and for me knitting is where that came from. That kind of filled that void of making things, like something physical that has a history and has a purpose that’s longer than a six-month shelf life or something. It’s an expression you know. And when I see all the work that you do, gosh you are so inspiring and I wish we lived closer because I would come over and I would pick mushrooms with you and knit with you for hours. What you do is so inspiring and I recently wrote a blog post about how it’s important to take photos and to document your projects. And sometimes I think because people like you and I in some ways we’re obsessive about that where we’re taking pictures of these things and were celebrating them. It is a celebration and it’s an accomplishment but it’s also at least for me I just want to inspire others. Ashley: Yeah. Share the love. For sure. Melissa: Hey this is Melissa Stajda from Durham, North Carolina. You can find me on Instagram as @hey_lady_hey and on Ravlery and Etsy as Hey Lady Hey and I’m here with Clara, my daughter. We wanted to answer this week’s question, if you could raise a flock of sheep in the breed of your choice, which would it be? Which would it be Clara? Melissa: Me and Clara went to the Maryland Sheep and Wool Festival this past Summer for the first time and we fell in love with the Jacob Sheep. Melissa: What’s our favorite thing about the Jacob sheep? Clara: I like the horns, they look cute. Melissa: Yeah the horns are really cute and their fleece is really cool too. Do you remember it, it’s so different? Clara: It’s different from other sheep. Melissa: Yeah it’s brown and white with spots and each one is so unique and they produce unique fleece. We’re dreaming about having a little farm someday and we’ll have a little flock of Jacob sheep, right? Jennifer: Hi this is Jennifer from Asheville North Carolina. You can find me on Instagram and Raverly @JAYKAY_Knits. If I could raise a flock of sheep, I would choose the Romney breed. Probably for their gentle disposition, their lustrous fleece and their adorable faces. They come in a variety of colors and have such a versatile wool, which makes them the perfect sheep breed for the knitter who wants to literally knit everything. Andrea: My name is Andrea Mowry from East Lansing Michigan. You can find me on instagram and @dreareneeknits. If I could raise a flock of sheep, I would choose Shetland sheep. They represent everything I love about knitting. The history, the adaptability, long life span, the dependability and durability. If I could get a little greedy though, I would love to have some variety. Such as the Cormo we’ve been hearing about so much on Woolful and even some Alpaca and some angora goats. Madeline: Hi my name’s Madeline and I’m a baker in San Francisco. You can find me on tumblr at hollertree.tumblr.com If I could raise a flock of sheep, I would probably raise Icelandic sheep because I feel like Lopi is one of the most magical fibers in existence and also I’m really into sustainability and permaculture and if I’m raising sheep I want to have delicious cheese and yogurt as well. Icelandic sheep have naturally sweet milk. Nikki: Hi this is Nikki from Ashville. You can find me on Instagram at @WoolenViolet. If I could raise a flock of sheep, the breed that I would start with would be Jacobs. Jacob sheep are an ancient heirloom breed and have been used for thousands of years. They’re beautifully horned and spotted and they can a variety of colors in just one fleece, with whites, blacks and greys. It’s a very versatile fiber with a long staple and spins beautifully and it makes a wonderfully warm yarn. It’s also very dear to my heart because the woman who taught me to spin would bring me Jacob batts from her own flock and as it passed through my fingers and onto the bobbin it stirred in me the passion for fiber and spinning that I now have today. of the homeschool mom geek in me and I love just their well-rounded, multipurpose use that they are medium sized, they breed well, lamb well, so that would be my choice. Ashley: I would love to hear a little bit about your fiber journey. From what I know about you. I imagine that starts with how you became a shearer, unless there was something before that that kind of preempted your way into this industry. Matt: Yeah as far as my actual involvement with it started with shearing but my mom have angora rabbits and sheep before I started shearing which was kind of how I got into it. She was a hand spinner and the first sheep she got when she went in and have this woman came out and sheared it, and she was smaller than I was. I was 10 or 11 or 12 and I’ve been whining I think the week before about the thing of have a way to earn any extra pocket money and mom goes, you know you can probably do that and me being young and dumb started shearing sheep. I went to training school that year and the following year and a couple of years after that. And little did I know that shearers are kind of hard to come by and there have been other shearers too that were scaling back just as I was starting. And so I paid my way to college shearing sheep, I mean still shearing to this day, 15 years later. Ashley: Wow. How many sheep do you think you’ve sheared in all that time? Matt: It’s hard to say. Let’s see I’ve done well over 10,000 I think. Ashley: Wow. Have you pretty much just stayed in the Bay Area, Mendocino County doing that? Or is that something that’s taken you to different areas? Matt: Mostly Central and Northern California; I’ve gone as far south as Holister and as far north as Eureka this year. Ashley: Do you love it or is it something that you just became good at or so you kind of stuck with it? Matt: I really enjoy it. It’s a lot of hard work. You get hurt every once and a while. You come home your hands full of thorns and scratches. But what I practically enjoy about it and what I enjoy about it to this day is I get to see some of the most obscure, beautiful counties that I work in. places that nobody has any reason to go except for me going to shear a sheep. At this real rural parts of the county that are stunningly beautiful that hardly anybody ever gets to. Ashley: It’s funny. I talked for a while Ann Brazina at the Wool Symposium and she said this very similar things. She’s like I could see everyone’s backyard. It’s pretty incredible. You’ve been doing this a long time. You’ve sheared a lot of sheep. What is the pivotal moment that had you start pursuing this mill journey? Or was it this something that you always kind of had in the back of your mind that you wanted to do? Matt: Neither. It kind of grew over time. I, in the course of shearing, have thrown away an awful lot of wool and seen awful lot of people who have sheep that at one point in time, their herd produced nice wool but it doesn’t now and they don’t care because they haven’t been able to feel the wool for anything. It’s not any good you stop breeding for it, you mixed in some hair sheep, suddenly you’ve got this really nasty scratchy wool that could have been really, really nice. And so seeing that much waste like that and then being involved with the hand spinners who produce this really nice stuff I could see a lot of potential in the counties to produce some really nice stuff. And so it wasn’t until I started realizing that there was actually a little bit of a market that I realize that I could start a mill like the one I am trying to start. Before that, I have had this idea of starting real small mill doing just the products that hand spinners use. Matt: Yeah just making the roving a real small scale, no employees just me. Economically, a mill like that would work very poorly indeed. At least the way I had it set up but then realizing that there are all of these other people out there that want locally produced yarn; that want some of these materials that mill can specialize in and make custom orders. I’ve realized that there’s space for the one I’ve got. Ashley: What kind of mill is it that you want to build? Matt: I want to build a mill that would employ about three or four people in running one shift, make a thousand to 1200 pounds of yarn every month. So as far as the mills in California, it’s bigger. As far as the mills that once were in California, it’s quite miniscule. I mean if you compare it to Pendleton up in Oregon, it’s scores of magnitude smaller. But at the same time it’s kind of at that breaking point where if you start going smaller you got equipment that has half output, you still have had to have somebody standing there so it’s big enough that you got a little bit of climbing scale. I’m hoping that I will be actually be able to afford buy the clothes that I made out of the products of the mill. Ashley: So you plan on spinning pretty fine fiber? Matt: Yes, not as fine as like a t-shirt. But something that would be high quality sweater or hat, something like that. Ashley: You’ve mentioned that you’ve seen a lot of wool get thrown away. What are some of the ways that you hope to maybe curb that or use that wool or preserve that wool? Matt: By going to ranch where shearing the sheep and saying you know, if you breed this way and breed for these particular characteristics and get rid of the hair sheep, I will be able to pay you money for wool. And having somebody who is already on the property who knows what he’s doing and saying keep this sheep and this sheep and this sheep and keep their lamb and that’s we’re going to feel to produce nice wool. I think it’s going to be really easy for me to talk people into this you know if I can start paying for the wool and showing them how to breed for good wool. Ashley: Have you already been experimenting with that already and the people who you work with—whose sheep you shear? And if so, what’s the response been like? Matt: I have. And I’ve got three or four people that were pretty interested in it. They are a little bit skeptical but once I have the mill up running and can demonstrate a market for their wool and demonstrate that I am going to be a long-term buyer and it’s worth investing a few years of work into this. I think that they’ll be quite willing to work with me. Ashley: Taking a quick step back to talking about shearing again because you’ve sheared so many sheep and you’ve been exposed to so many different breeds, what kind of the advantages I guess other than the obvious ones of just knowing the different types of wool do you feel like being a shearer will bring to you starting and running a mill? Matt: I think I know where the wool is, where I can buy it. I had quite a stash pile of nice wool that I’ve gotten much of it from people that I sheared for, much of it from ranches right next door. I know fairly well what’s getting produced here and I’ve got a lot of contacts. Matt: So it makes it a lot easier to get what I need and talk to people about stuff. Ashley: Yeah and I mean network is everything especially when you’re trying to start a new business and build something from the ground up. When we were at the Wool Symposium a couple of weeks ago someone had mentioned to be that this journey or this adventure of starting the wool mill you had announced it at the first wool symposium and I was hoping you can kind of give of an abbreviated version of what path this has taken you on the last few years. I know that it has been in more recent times kind of a struggle with the different committees or offices in Mendocino but I think hearing your journey over the last few years would be a lot of interest to people. Matt: So when did I first start thinking about a mill? Probably in 2009 or 2010 and I’ve spent about a year of thinking about there would be a small mill, it would be awesome and be my own boss and own employee and I will be able to make it and be okay and I kind of realized that it wasn’t going to work right about the same time that I realized that there are other markets. And so then I spent probably a couple of years researching equipment, trying to figure out how big the mill should be, where it should be and then by the time that first symposium came around I had pretty much worked out all the details in my mind about what the mill should basically look like. And so the time I had a plan, my business plan was starting to take shape but I hadn’t gotten a whole lot further than that. So then last year, I had a business plan complete, I knew what needed to happen, I knew where it needed to be and a year ago at the symposium I started the Indiegogo campaign to kick start the process and we are able to raise 28,000 dollars which I used as a downpayment on the equipment that we bought. So now we have the main piece of equipment that we need to start the mill. We’ve got a nice carder, a pin drafter and a spinner and so once we get up and running we’re going to need a couple of other pieces and so we got bulk of it now. And so that also in this last year, we bought this property which is its own community commercial which should be perfect. It has got a house here on the property so we’re living here and hopefully run a mill soon as well. Matt: We’re in the city and so the plan is that we are going to remodel the garage, make it a little bit bigger. Part of the problem with the mill is you have to keep it at a reasonable temperature and humidity because if those startl getting off, the static electricity starts, the fibers are interacting with each other and you can’t get a quality product. And so one of the things about a mill like this is it’s only going to work if you can make a really good product. So I got this property, as well it has got this garage, we’ll expand it, finish it, make it good, make it insulated and climate control and so we can produce a good product. And so to do that, we need a site development permit, we need a use permit and then we’re going to need a building permit. I have never worked through the city permit process before and I was a little bit naïve about what was involved. Before we bought the property, we talked to everybody and all the feedback we’ve got was that this is appropriate property for that and that everybody seem to look favorably on it and of course nobody has said that it would work because you have to go for the permit process to get that. So we did all of our research beforehand to make sure we have reasonable chance of success and we bought the property. And then the city permitting process is quite challenging, much more challenging than I expected. And so it’s been quite the learning curve for me trying to work through that and figure out how to give them what they need and figure out what they actually do need so that we can get their permits. Ashley: So are you basically really to start running, you’re just waiting for the permits? Matt: The permits and the funding; there are a couple of funding sources that we’re pursuing and I’m quite confident that one or the other is going to come through seeing as we have the permits at the end. Ashley: Obviously running a mill in a lot of ways a whole another career in it of itself as you really start ramping up the mill, do you plan on continuing to be a sheep shearer? Matt: Probably for a few years I’m sure. I doubt if I’ll ever stop shearing entirely. The shearing that I did was actually only a few months’ worth of shearing this year. Ashley: How have you been educating yourself on operations of a mill? And is there anyone that you would consider a mentor in that space or that you worked with? Or is this something that you just kind of all taught yourself? Matt: No, I wouldn’t trust myself to make all the decisions without having prior experience. I’ve been talking to Keith Wild who has set up a number of mills and he is in England. He located equipment for me. He knows how that equipment works, he has worked on them before and so all of my production assumptions and the quality that I should be able to get out of the equipment assumptions have been based what he has said and he’d been doing this a long time. I trust his judgment. Ashley: That’s great. I’ve heard a lot of different things from different people but one of the main things I keep hearing is to go with the old equipment like the older industrial equipment is really the way to go because of I guess reliability, more so because the parts are made to last a long time instead of some of the newer equipment that uses different plastics and whatnot. Matt: There are a couple of things on there. The equipment we’ve got is old industrial equipment. In newer industrial equipment is quite good but the scale of it is not workable in a mill like this. It’s huge equipment designed to produce 50 or 1000 times more than this mill will produce. So if you were to buy a spinner and suddenly you need a room 200, 300 feet long to fit it, all the modern industrial mills are these really big company producing stuff on scale and all the spinners are robotic and you’ve got a whole extra layer of complexity and size to it. So if you go back to several decades, that’s the industrial equipment from there is the appropriate size of what we’re trying to do here. Ashley: Most mills that I’ve visited have a lot of the older stuff and they really like it. Some of them have modernized them a little bit like with different electric panels. Did Keith hooked you up with people to learn from? Or have you apprenticed at some other mills? Matt: I would love to apprentice with somebody but I haven’t. Keith probably has been able to teach me everything I need to know. Ashley: That’s good. What are some of the mills, either domestically or worldwide that kind of inspire you? Are there certain models that you want to replicate in what you’re doing? Matt: I certainly seen and looked and read about a number of mill but what inspires me the needs of those here that I know. Having seen all these wool producers and knowing what their needs are and then talking over the last few years to people that want to buy yarn, it’s like I see all these needs and I can figure out what kind of mill is going to connect those two groups of people. Ashley: You’re in a great area. I mean, I’m originally from Washington but just moving to California, we’ve been blown away by the fiber community and all the different people and obviously just the agricultural growth with you know sheep in the area, it feels like you’re really set up for success which I’m excited to continue to follow your journey as you build the mill and I’m sure you’ll be really excited once you can hit that on button. Matt: I will be so excited. There are so much work to do between now and then. I’m very looking forward to getting started on that work and making that day a reality when I hit the on button. Ashley: Kind of a funny question, I noticed at the couple of times that I’ve seen you shearing sheep that you’re wearing these particular moccasins and those are shearer’s moccasins, right? Matt: Those are shearer’s moccasins. I sheared barefoot for a while and I’ve got sheep stuck on my foot real hard and I got a bruise and it took a long time to go away and like wow I guess I don’t quite heal as quickly as I did when I was 16. And so the shearer’s moccasins are what are all the shearers wear and so I started wearing those and the reason they work really well is two-fold I guess. They’ve got no folds on them. And if you can think about stepping over and around and underneath the sheep in kind of awkward positions, if you’re wearing boots, it puts a lot of extra strain on your ankle. If you’re wearing moccasins there’s no sole you can roll your foot a little bit you’re less likely to hurt yourself. Also, it has got these little bulges material around the toe and you can use that to stick underneath the shoulder of the legs, the shoulder of the sheep, keep the legs up off the ground and that makes them feel like they can’t get away so they tend not to try it. And you can notice the difference I mean when you’re wearing to and not wearing those. When you’re wearing them they don’t fight as much. Ashley: Did you make them? Is there some place where you buy them from? Matt: You can get them from any other commercial sheep shearer supply out there, I guess you’ll find a couple of places. Ashley: As you’ve been a shearer over the years has been there any particular people that you would consider a mentor or have you become a mentor to anyone? Matt: Yes and yes. Mike William who taught me how to shear and certainly taught most of the shearers around here, I would consider a mentor. I went to the shearing school he had put on, probably like four times and I went shearing with him. I’ve had really fun shearing sheep with him and I try and keep up with him. And then he would stop and he watch me shear a couple sheeps and okay do this a little different and do that little differently and it would take a few seconds less to that sheep and I have to work a little bit less hard so I get more done by the end of the day. And there have been a few shearers around here who I’ve taken shearing and taught a friend how to shear. I lend my equipment to a person or two who were starting out. Ashley: One of the things that I just in talking to different shearers have heard is getting over that fear of the shears and I don’t know if they changed in their technology over the years since you started. Was that ever something that you were concerned about? Or were this any particular part of shearing that was a challenge for you in the beginning? Matt: Yeah you actually had a good reason to be a little bit scared of that equipment. Ashley: You know recently I don’t know if anyone brought it to your attention but they did to mine and I’m not even the shearer, the recent PETA and other videos floating around the internet about how shearing is harmful to sheep and there was some video exposing a particular shearing operation that was hurting sheep and cutting them. And I know that there’s different breeds that have thinner skin and that are more prone because of the folds into cutting but what has that been like for you and has anyone asked you about that? Matt: Nobody has talked to me about hurting the sheep, really. I have a reputation for doing a really good quality shearing job and not cutting the animal, certainly I do. I tend to think that shearing is a lot harder on the shearer no matter what. You do that a hundred something times a day all summer long and the number of cuts and bruises and scrapes and hooves in the eye are quite significant. Certainly that PETA video, I did watch it, was a pretty inexcusable behavior on the part of shearers, I think there are shearers like that. But I tend to think fairly fewer of them. It’s also interesting that you talked to some shearers and they don’t see themselves putting the animals that they don’t put themselves through. Ashley: Yeah you have a very gentle way that you go about shearing sheep. From watching probably far fewer than you’ve watched in your lifetime, you’re very methodical as you go about it and I’m sure you’re going have to be to prevent injury both to yourself and the animal so to prevent second cut. Matt: I tend to think of my flock primarily lazy. If I go about it methodically and I know what I’m doing and I just do it once, I don’t have to shear, I mean second cuts take longer because you’re sharing that spot on the sheep twice. Ashley: Have you sheared alpacas? Or have you pretty much stayed with sheep? Matt: I have sheared alpacas, llamas, sheep and angora goats and occasional dogs. Ashley: Out of those animals what is your least favorite and what is your favorite? Matt: What is my least favorite? My least favorite is the occasional goat that you do after shearing a day of sheep because having to shear the sheep you’re covered with lanolin and you shear this goat and you get covered with little bits of goat hair that stick to the lanolin. Ashley: And out of the different sheep breeds? Matt: What are some of my favorites? My favorite to shear are not my favorite breeds because the easiest one to shear are the big fat meat sheep that don’t have much wool and they are a dream. They are so easy. Ashley: What are those breeds? Matt: Those breeds like the dorsets and the black face sheep. Those are fun. When you get in a flock of those, you do 60 sheep and you’re shearing about three minutes a piece and keeping that up. My favorite breed of sheep, depends on what you are wanting to do with it. I like all the wool sheep. The merino, the Corriedales, the Lincolns. Their wools are so different, had such different uses and it’s really fun to see the variety and see what all the different things that you can do with wool. I like the herds where people have thoughtfully breeding towards specific kind of wool that’s different and useful in its own way. Ashley: If you could a flock of your own sheep, what sheep do you think you would get? Matt: If I could have a flock of my own sheep, by the end of this year and season, I am so sick of sheep I’ll never want to see another one again. I’m not sure I would have my own sheep. Plus I see myself as doing what nobody else is doing. There’s a bunch of people raising sheep, there’s a bunch of people dying wool. There’s a bunch of people, well a few people knitting and weaving. And so what’s not being done is where I want to focus. I want to focus on that mill that everybody else is kind of dependent on. So for me at the moment were I to go get started on sheep, it would be kind of contrary to what I’m trying to do because of this, it will be doing something that someone is already doing. Somebody else is doing better than I can do it and I need to be spending all my energies on the mill. But hypothetically speaking were I to get up on the mill and start raising sheep, I really like targhee. Ashley: Yeah, have you worked much of their wool? Matt: I have well over a thousand pounds of it. Matt: I Said I had a stash pile well I wasn’t kidding. I have big stash pile of wool. Ashley: Your house is probably just packed on the brim of wool and your kids are probably like what is this stuff, why do we have this here; that’s how my house is. Matt: I have a shipping container out back. Ashley: Oh nice. That’s good. Matt: That breed of sheep has really nice soft wool and I should be able to do some really cool stuff with it but it’s a pretty versatile hearty breed. It does really well in an unimproved hills of Anderson Valley. And it’s been there for quite a while. I mean they’ve been breeding targhee sheep there for decades and decades. Fifteen years ago that was the first kind of sheep I sheared. Ashley: So what are some of the things that you want to do with the wool? I mean obviously you can make yarns and rovings but you’re going to be working with a lot of it, a lot of different types, a lot of different qualities. Are you just wanting to focus on a particular quality or is there some way that you want to utilize the wool for different products? Matt: I want to make pretty much all the standard things, the roving, the batting, the fiber, the yarn. The yarn in particular what I want to do that nobody else is specializing in that I know of is work a lot with the natural colors. Work a lot with blending these colors together and so this mill is going to be a really good size for that. It’s big enough that I can do 300 pound batch a yard. But when you’re dealing with natural colors, you can’t do 300,000 pounds batch of yarn because you don’t have necessarily that much brown wool to work with. And so I can run through a batch a brown yarn, I can run through a batch of white yarn, I can run through a batch of the more at that reddish brown yarn and so it’s going to be a small and nimble enough mill that I can do all of these special batches. I’m really looking forward to being able to play with the natural colors that are out there. Ashley: That’s really cool. Those are the ones that I gravitate towards the most, just personally. When I first started getting in the fiber and knitting, it was very much based on the softness and the color, the bright color and the dying jobs and it’s kind of funny because now I very much gravitate towards the natural blends. Right now I’m a huge fan of the Cormo. Matt: I have hundreds of pounds of naturally colored cormo in my container too. Ashley: Oh my gosh, don’t tell me where you live because I’ll come over there. Tomorrow, I actually open up my shop. I’m going to be the exclusive US retailer for this gal who works with the Downey family in Tasmania who created the cormo breed and so I’m going to be selling her yarn. It’s really incredible and she has you know this last run that she did to begun experimenting with the different percentages of you know gray and integrating some brown in there as well. And so gray is my favorite color anyways I mean to wear so I’m like this works out perfect. I’ll just use this and you don’t even have to do anything with it. Matt: My wife and I tend to really like the natural kind of drabby colors and some people are like you put some color on, like you’re blending in with all natural ground. I’m like yeah I know, isn’t that cool? Ashley: Tell me a little bit about how your family is involved in this. I mean obviously you have kids and you have a wife, is this going to be very much a family operation? I’m guessing your wife is kind of the backbone in probably a lot of what you do whether it’s helping raise the kids or just moral support or whatnot. Matt: Well, I quit my stable job and moved over into a new town so without my wife’s support. I’m not sure where I would be. But here I am. She is the knitter and the spinner. I certainly need her to be quality control, be the second opinion. She has much better sense of colors than I do. I don’t think that I could run this business without her. I need her, even if she only comes out a couple times a day and say yeah I like that that looks really nice or yeah no Matt you’re not going to be able to sell that so stop, rethink that through. Ashley: What do you think about having your whole operation basically in your backyard? Matt: I’m hoping it will work out really well. I’m hoping that eventually we’ll be running two shifts and so I won’t be out there for 15, 16 hours a day but I’ll be nearby and available. Be able go out at five in the morning, get everything started, make sure everything works and then come in and have breakfast with my family and go back out and check on it again. I’m hoping it will be able to work out really well. Ashley: That’s really great. As you have been so involved in this industry both as a shearer and starting to do this mill, what kind of support have you gotten from the community? I mean obviously you had the Indiegogo which was successful and as you’ve progressed over the last three years, have you seen this community grow and support of what you’re doing? What is the response been like and how is that been for you? Matt: The response that I have gotten from everybody is overwhelming. The number of people that have told me this is an awesome project, people they are holding the wool for me and so I know I’ve got some months of production right out the gate as soon as I get this operational. It’s like people have been waiting for a year. I was hoping to be operational in June and people are like, when you are up and running, we’re still here and waiting for you. Kind of astounding how much support I got from everybody. Ashley: That’s so great. I don’t know if it’s just this particular community like the fiber community but I feel like that’s the very common thing. No matter what it is that you’re doing and it’s surprising and I’m not sure why maybe it’s because I came from the tech industry and that has such a short lifespan on what you’re working on and so cut throat in a lot of ways and I feel like everyone in the fiber industry whether it’s Keith that you’re working with or the different mentors that you had like I can or just even shop owners around. Everyone being so supportive you know at least for what we’re trying to do up in Idaho as we began to start to build the mill up there. It’s kind of crazy how encouraging everyone is. Matt: It really is. I think that everybody realizes that it’s pretty hard to pull any of these things off. It’s a lot of money up front to get the equipment and there are very finite amount of money that you will be able to make. You can only run so much wool through there. And honestly, there are probably a lot of easier way if you have got to make a living a lot of easier business to get into. A lot of time and energy I have spent on this that if I was adding up and paying myself an hourly wage it’s like I never paid that off. Ashley: Right now I work on the tech industry. I just left my job at Apple to work for a small startup in San Francisco that has a lot more flexibility so that we can travel up here at Idaho more often and I often say to myself and at weird times it’s not even like when I come face to face with a challenge. It’s probably when I haven’t had enough sleep but I think to myself why am I doing this again. I have this career that I have been working towards for you know close to 10 years and now I’m like ready to leave it all to do something much more challenging and different ways and at the same time successful and rewarding in different ways as well, maybe not financially but in spirit and then just being able to do something with your hands and bring something back to the industry here in the US. Matt: Yeah, I have been through that so many times like I don’t know what I’m doing, this is stupid, why am I here, this isn’t going to work; and then somebody calls and says that oh my gosh this is so amazing, it’s going to help in so many ways, I’m supporting you all the way let us know if there’s anything we can do. I was like, okay that’s why I’m doing this. Ashley: That actually brought something to mind. One of the things that I—just from talking to different producers that are getting their wool milled or even mill owners, I keep hearing I mean there’s doesn’t seem like there’s any lack of mills. There’s a lot of cottage mills, a lot of mini mills but there are somewhat larger mills that can produce an adequate amount you know in the US I’m speaking of. And something that a lot of these producers and like I said even mill owners are saying to me is that there’s a vast difference in quality or attention to detail or maybe even like knowledge around what they’re doing and so the business goes to the people that are respecting the product and respecting the wool and know how to process it correctly and you know work with the different producers. I guess I’m curious to hear, you know obviously there’s this a need for what you’re doing in northern California but maybe a lot of your business won’t even come from the area if you develop a really great product or reputation, your business will come from elsewhere and why do you think that there’s a need for that? What are the key things that you’ve maybe heard or you’ve learned from other people that makes you feel like that there’s a need for what you do outside of your just community? Matt: I think that there’s a lot of mills that make a product that some people consider really good and some people consider really bad because they’re using that for different things. Ashley: Can you give me an example? Matt: Yeah so there are mils that can’t do the finer yarn. They can’t work with the merino, they can only work with the Lincoln and the coarser fiber. And they don’t spin it really tightly. That might be really bad for socks that might wear out really quickly but it might give a particular look to a woven shawl or something that can be used more likely and it might work really well for that. And so there needs to be understanding of this mill is capable of doing this. And without saying it’s good or bad it won’t work for all what people need. And if there’s a number of mills around that people are saying they are terrible they don’t do quality work well I can tell three or four people that have bred their sheep so that the wool works really well in that mill and they do some amazing things out of the product for that mill. So what I have been focusing on for this mill is that nobody else is doing well. The real fine fibers of merino, the cormo, there aren’t any mills from this area that make good quality yarn out of those fibers. And so that’s kind of the missing link for a lot of the knitters and the weaver that’s what they really want to buy or at least that’s what they ‘d be buying some of the time they can’t get. And so I’ve been focusing this mill and making sure that I got equipment that would work with these fine fiber so hopefully we will be able to make really consistently tightly twisted yarn for the even yarn so that you can make a much more finished looking sweater out of that when you could some of the other yarns out there that are available. Ashley: Right, that’s a really good point, I think I haven’t heard that answer before. It’s actually not a question I’ve ever asked before it’s more because you’re building mill and we’re just kind of starting on this journey. You just hear a lot of opinions from a lot of opinions from a lot of different people you know for different reasons and just their personal experience but I hadn’t ever thought of the fact that certain mills the glove made to fit a different hand I guess to say. They’re not meant to process the exact same wool or the same way as say another mill is and so those mills are experts in their own right and what they do excel at. Matt: And some of these mills are running at low production and want to be doing a lot more but the equipment they have can only work with certain fibers so they’ve kind of limited themselves to intentionally or unintentionally to particular clientele. Ashley: When you think about your business, do you ever think about scale? Do you see scale in your business? Or do you kind of see operating at a particular level pretty consistently? Matt: I don’t know. I certainly have dreams doing this, that and the other things. Do I think that there’s a potential in the market produce or can build a mill that would triple the scale or something, maybe. Ashley: Or even just product wise. There are so many different products you can do with wool aside from just yarn. Matt: There are so many different fibers that you can work with besides wool as well. I would love to start working with some of these other fibers. Matt: Cotton, rayon and maybe hemp. I really like sheep, I really like wool but there are some things that wool doesn’t work for having a cotton t-shirt that’s really nice. And so I guess for me what I’ll be doing 10 years down the road, where I could be working just with wool or a whole bunch of other things, it’d be fun to once I get this mill established and doing what it’s doing really well, it be fun to branch out and so other things. If there are some other group of grower whether it be plant or animal you need a mill to start spinning whatever it is they are producing. Would I be willing to look into that? Absolutely. Ashley: We’ve talked a lot about you as a shearer, we’ve talked a lot about the mill, is there anything around those two things or even unrelated around those two things that you want to talk about? Matt: I like wool and sheep that have actually the mill is not just going to wool mill. We are going to do blends of alpaca and llama too, it will be fun for me working with three different fiber. We’re hoping we’ll be able to work with the angora goat and few other animal fiber as well. My mission is wool and fiber, thinking we’ll definitely be working with fibers too. Ashley: Do you have a date projected that you might be able to start the mill or is it all pretty up in the air right now on the permits? Matt: I had been saying that sometime in the third quarter, this last third quarter, three or four months but that obviously didn’t happen. I am hoping that we all get that whole permitting thing figured out really soon. And then when we get that figured out we’ve got a few months, two or three months by the work counting nails and building the space and then we’ll start the operation. Ashley: So for anyone wanting to get into shearing or the mill business, what are some words of advice, words of caution that you might give to those wanting to jump in or words of inspiration? Matt: If you’re starting to shear, know that the first thousand sheep are going to hurt and they are going to be hard and they are going to take a long time and you’re not going to make very much money each day. Once you get over that first thousand, we’re going to start your—you will figure it out, and you’ll do it a little faster and it will be worthwhile. You’re going to earn every penny you make but it’s fun and you’re going to get out and see some stuff and meet people that most people don’t get to. Far as people starting the mill, every step of the way is getting to have its learning curve and there’s going to be a lot that you need to know that you don’t know right now and say you’re permitting, to business planning, to running the business to operating the equipment to getting the right kind of power to the mill. It’s a lot of work to figure that out but it’s all doable. I don’t know maybe you ought to come back for a few months once we I got to operate. Get some actual insights from there. Ashley: In some ways and I can’t remember who said this but in this particular instance sometimes ignorance is bliss. Naivety is probably a good thing because if you knew exactly how hard it was going to be or all the things you’d have to go through you probably wouldn’t do it. Ashley: It’ll make you a stronger person or as they say builds character. Matt: it’s been a lot of work I have been really glad that I had a back-up plan. Ashley: The winner of last week’s giveaway, is….Charlene, grandknit on Ravlery. 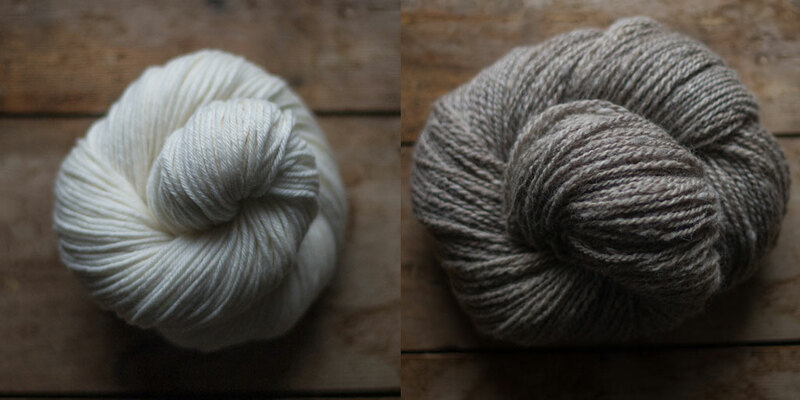 You’ve won 3 skeins of Snoqualmie Valley Yarn, naturally dyed with black walnut. Congratulations!